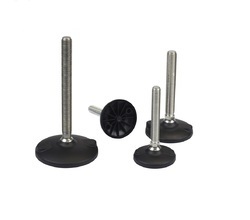 Easier to use, these Leveling Feet are presented to the customers in complete safe packing. Crack proof in nature, these feet are excellent in quality and reliable in nature. In addition to this, these presented leveling feet are durable and easy to avail from the market at minimal price. Range of application: BILZ leveling elements BNS are specially suited for the positioning of presses, automatic stamping machines automatic die casting machines etc. Examples: BNSH 120/50 means: equipped with type 50. Application: Medium efficiency of isolation. BNSH 120/32 means: equipped with type B32. Application: For highly effective isolation. In particular used on upper floors. Being an eminent organization in the industry, we are involved in manufacturing, exporting and supplying a premium quality range of Machine Leveling Feet. - To ensure that the machine is mounted correctly and leveled on uneven surfaces. These Levelling Legs are extensively used to install in server racks. - Tubes fastened by clamping. We are Dealing in Leveling Foot. In line with clients' diverse requirements across the country, we are manufacturing and supplying an excellent range of Leveling Legs that are highly applauded for their enormous specifications. Leveling elements are specially suited for the positioning of machines. The leveling range is dependent on the length from the leveling screw. 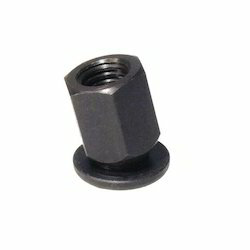 The levelling elements are available with screw (flexibly connected) or without screw. High solidity and equally high vibration insulation is obtained through assembling of the respective BILZ insulating plates. We are successfully meeting the varied requirements of our clients by providing the best quality range of Levelling Element.